The concept is an edible packaging that is divided in 7-8 portions of dried food. This eases the user while feeding the parrot. The product range includes different flavors and multivitamins snacks. 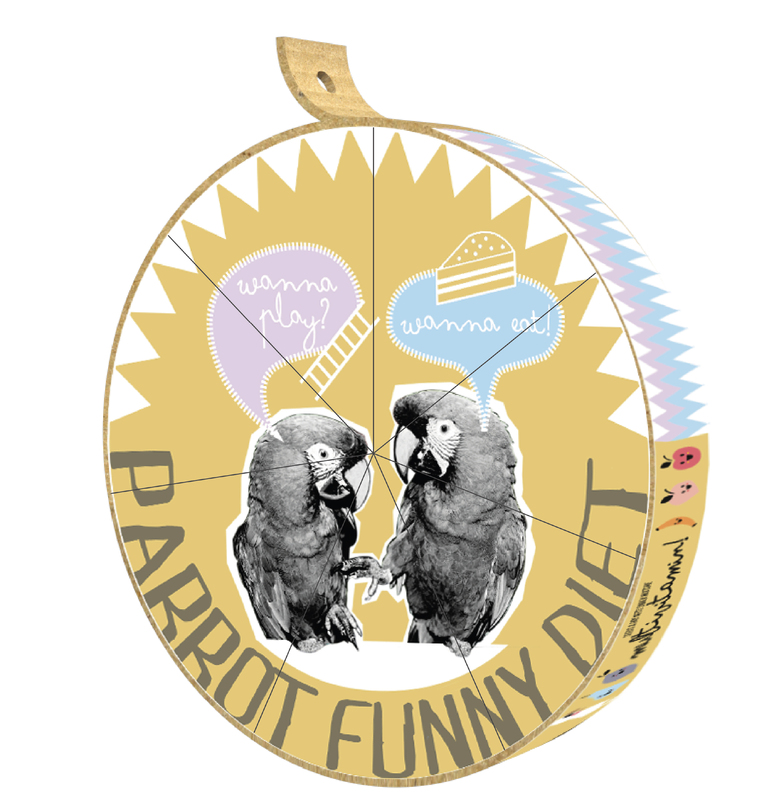 The infographic helps the user to understand and think more responsibly of a parrot's diet. Parrot Funny Diet is a packaging that solves two main problems regarding the common beliefs about parrots' diet and the role that pet food packaging may have. Parrots need to establish strong connections and relationships with their owners to live a happy life and they do it especially through food and toys. They perceive toys as food and food as a prize that makes them happy. So we wanted to combine these two elements for a packaging that is playful and easy to use both for the user and for the animal.